Ten years later(1911 Census RG14/21238) John was at School and the family were at the same address. However, when John enlisted in 1915 he gave his address as 2 New Market Street, Buxton and gave his occupation as "Pantryman at Buxton Hydro". He was 5 ft. 9¾ ins. [1.77 m.] tall. John initially enlisted, 'For the Duration', in the Sherwood Foresters Regiment, at Derby, on the 12th December 1915 and was admitted to the Army Reserve the next day. On the 27th May 1916, aged 18 years 4 months, John was mobilised, but was again returned to the Army Reserve the following day. After being re-mobilised on the 19th August 1916, John was pasted to the 4th Battalion, the Sherwood Foresters Regiment, three days later. The 4th (Extra Reserve) Battalion was a depot/training unit, based at Sunderland as part of Tyne Garrison. He received orders in November 1916 to proceed to the "Heavy Maxim Gun Corps", but was late arriving and was confined to barracks for 10 days for 'Overstaying his pass'. On the 8th February 1919, after 2 months leave, he returned to be transferred to the 5th Battalion, Machine Gun Corps. John was posted to France on the 13th November 1917 to serve with the 254th Company, M.G.C., but was reported 'Missing' on the 25th April 1918, serving with the 49th Battalion, and became a Prisoner of War in Germany. His Service papers state that John was imprisoned at Gardelegen, a town in Saxony-Anhalt, Germany, in Central Germany. However, Gardelegen was also a head camp and carried the registration of thousands of PoWs, so it could be he was actually held elsewhere. physically fit for War Service". He had served 3 years 87 days with the Colours. 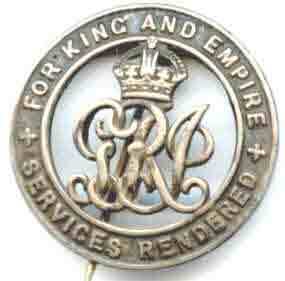 11 shillings [55 p] a week, effective from the 9th March 1919, to be reviewed after a year. Just over a year later John died in Buxton on the 24th May 1920, although one reference in his Service history does state: "D of W", i.e. Died of Wounds, rather than of illness.